Rare Editions offer fun and easy outfits she will love to wear. 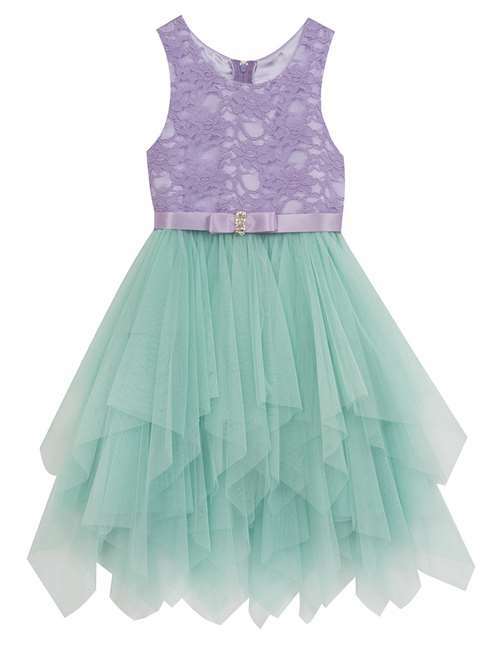 Sleeveless dress features a lace bodice with a round neckline, zippered back, and layered tulle skirt. Polyester. Rayon.